Mac Danzig is one tough vegan mo'fo'. Most mainstream athletes and trainers are not only skeptical of the vegan lifestyle - but they tend to ridicule it - imagining vegans to be frail, pale, and weak - and subscribing to outdated and dis-proven fallacies like the 'protein myth' and 'calcium myth'. Touché. Mac has won numerous world titles in smaller organizations on his way to the UFC and is not only a fighter, but also a teacher of mixed martial arts in Hollywood California. A vegan, naturalist, animal rights activist and serious photographer, Danzig transcends the typical stereotype of a combat athlete. Mac recently appeared in the Wall Street Journal article entitles "The 247 lb. Vegan" (thanks to Karen of Dawnwatch for the link) about the NFL star Tony Gonzalez and other pro-athletes who've tried the vegan diet like the NBA's Salim Stoudamire of the Atlanta Hawks. 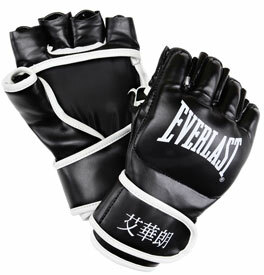 If you're into martial arts and looking for a good, vegan MMA glove - The folks on the Vegan Fittness Forum pointed out both Vitamins & Minerals of Brazil, and Everlast as makers of decent non-leather MMA gloves.